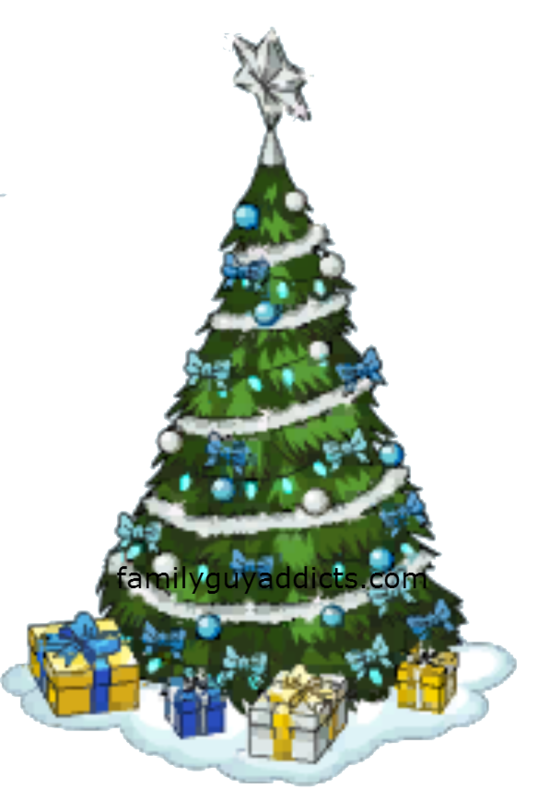 Phase 3 Jolly Christmas Tree Is HERE!! Hey there yah bunch of Yettis. 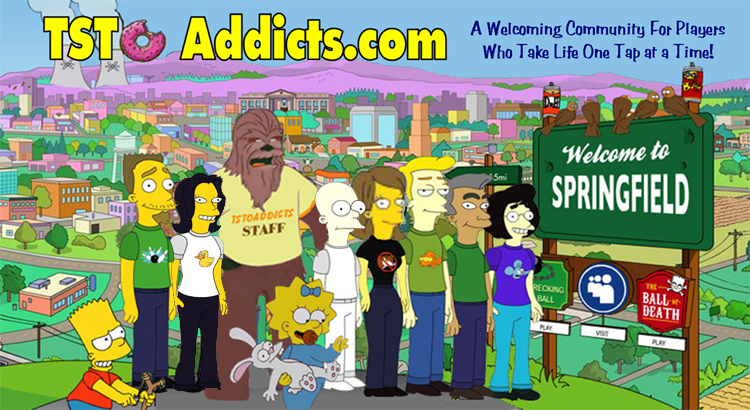 The new Phase 3 of Miracle on Spooner Street is here! 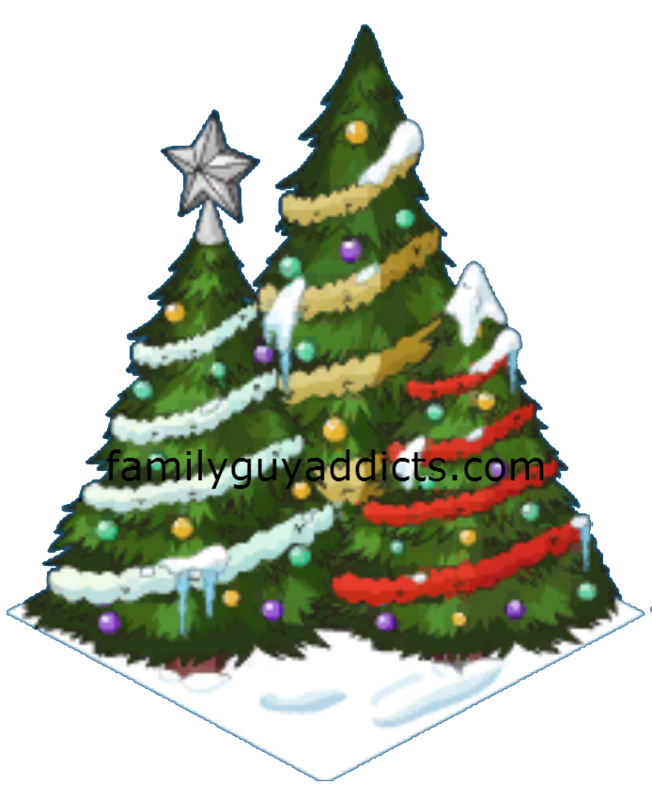 So get to updating to the Jolly Christmas Tree to see all the cool new stuff!! As per usual…MORE TO COME!! More details in a bit but for now know that Peter will trigger the week 3 challenge. If you don’t want to start it…don’t tap Peter after Part 3 of the main questline has triggered. Update from Alissa…Details below the fold..
Superstore USA- 250 Cookies, 4hr Build. Earns 12 cookies and 2 HC/ 8hrs. Chance to drop Spiked Eggnog. 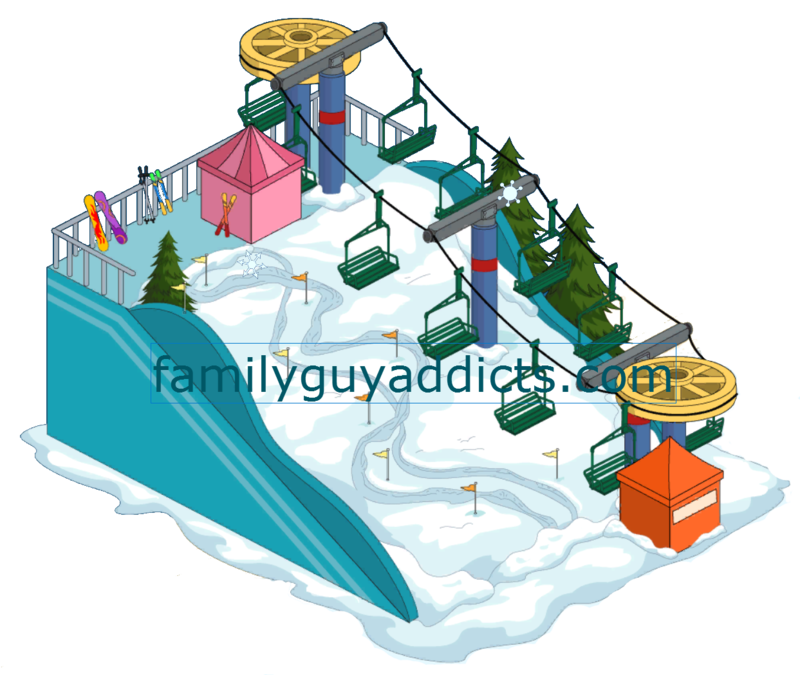 Bunny Hill- 250 Cookies, Earns 50 Cookies and 10 HC/ 6hrs. Chance to drop a shovel for Jingle Joe. Holiday Babble Greeting Cards- 100 Clams. Earns 10 Cookies and 2 HC/ 6hrs. Always drops the Wrapping Paper Stocking. Christmas Swanson House- 75 Clams. Earns 10 Cookies and 2 HC/ 6hrs. 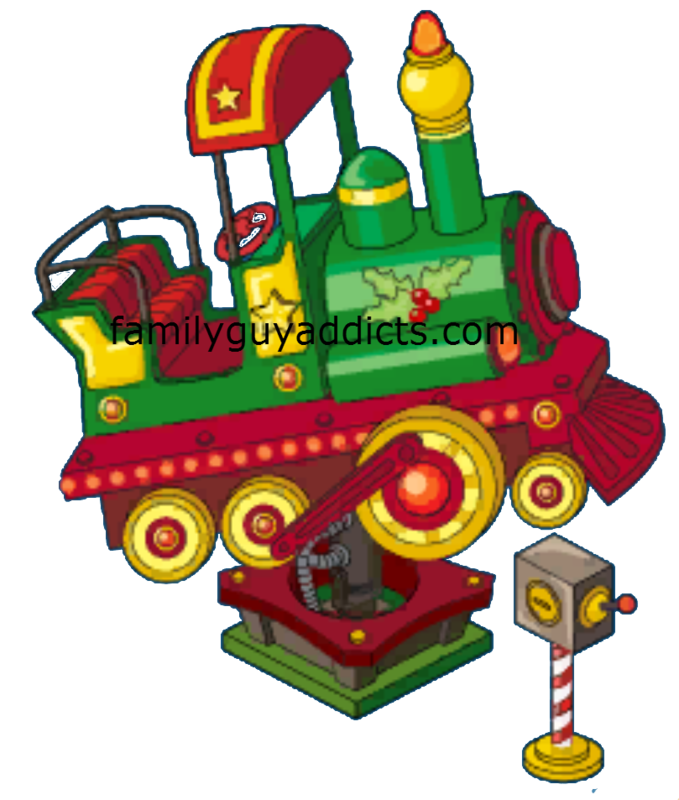 Always drops one of the items needed for Jingle Joe. 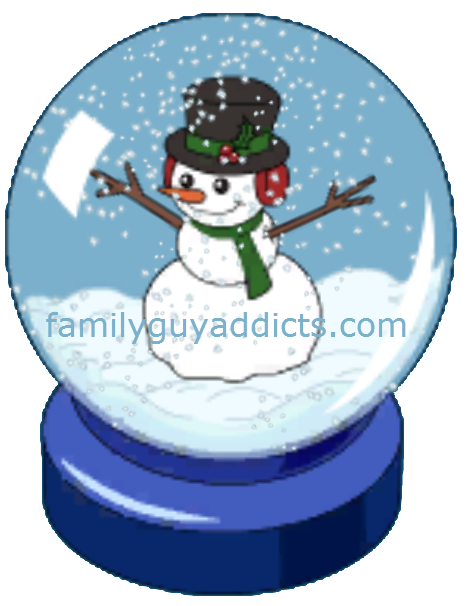 Jolly Snow Globe- 100 Cookies. This time we’re creating Jingle Joe. Joe with warmer clothes. Jingle Joe will be able to help attack the Yeti. 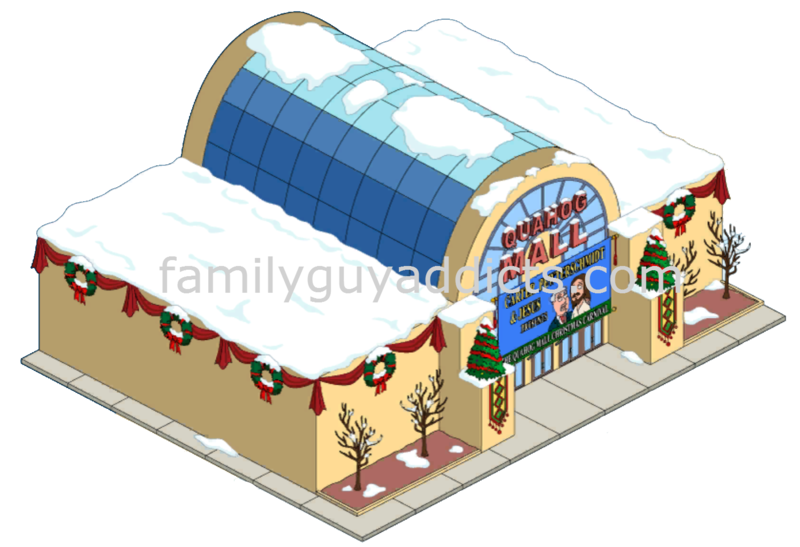 Here’s what you’ll need to collect to get Jingle Joe. For Those curious it’ll cost you around 300 Clams to purchase outright. Depending on how many cookies you have. 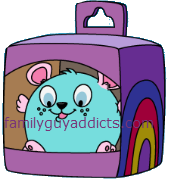 Jingle Joe also has a task to help you earn more Furbals. Even more, here is a shot of the Puppy roaming my town covered in snow, can YOU spot him in the pic? Note: You will have FIVE days to unlock her. Do not repair the Train Station until you’re ready…you will only have 5 Days to unlock Babs. So be sure you’re ready before you do it! The Fancy Gift Box is here now! 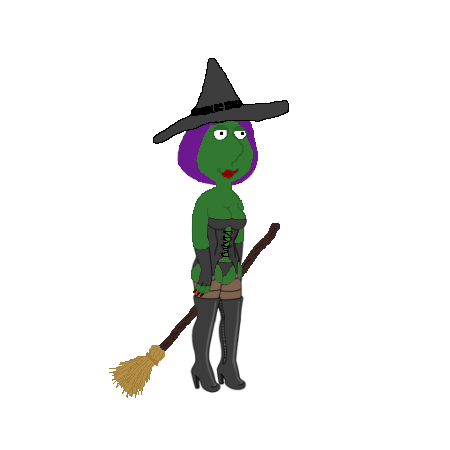 Takes 3 hrs to create once you have enough..
Basically…it’s Comic-Con and Halloween all over again. Break out those mazes because it’s time to bomb some animated characters again! To Bomb the Procrastinators you have to collect Furballs. You then use the furballs to “bomb” as many Procrastinators in 1 shot as you can. There are two kinds of Procrastinators. Naughty ones and Nice ones. 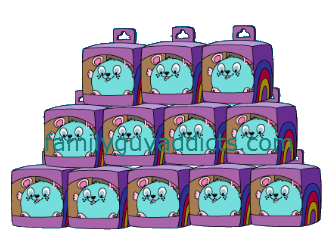 Each one drops different rewards…. Nice- Drops Wrapping Paper Stockings and Christmas Cookies. What’s the Spawn Rate for Last Minute Shoppers? 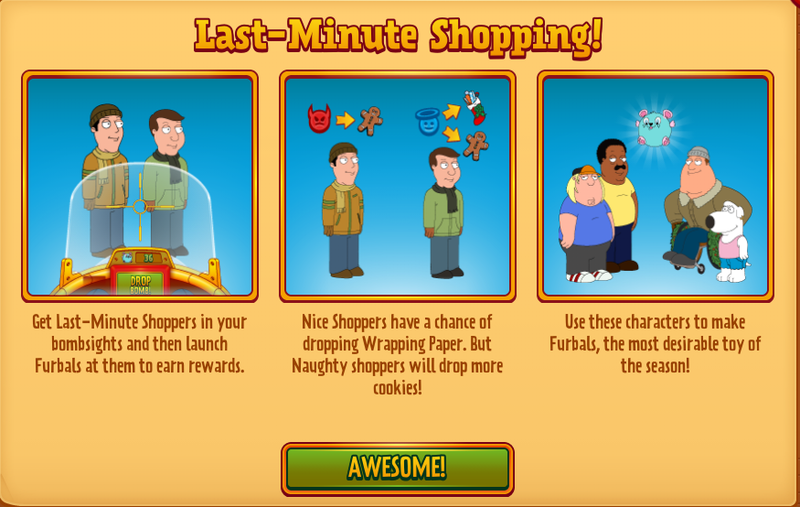 Per Tinyco…The Amount of Last Minute Shoppers in your town will vary depending on your level. Generally, these shoppers will spawn every 2-6hrs for a max of 10-15 in your town at 1 time. This Challenge is Trigger by Peter AFTER Part 3 of the main questline is triggered. 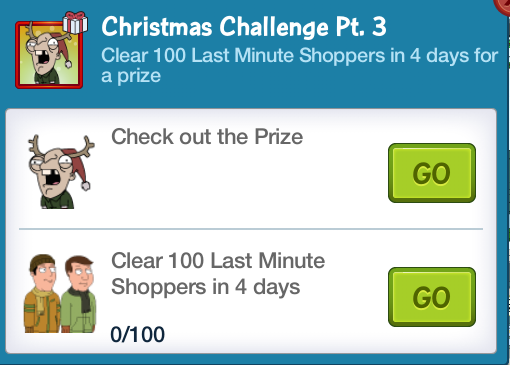 So if you don’t want to start this task…DO NOT tap Peter after you trigger Part 3 of Profits vs. Prophets. For this week’s challenge…you’ll have to bomb 100 Procrastinators in 4 days. 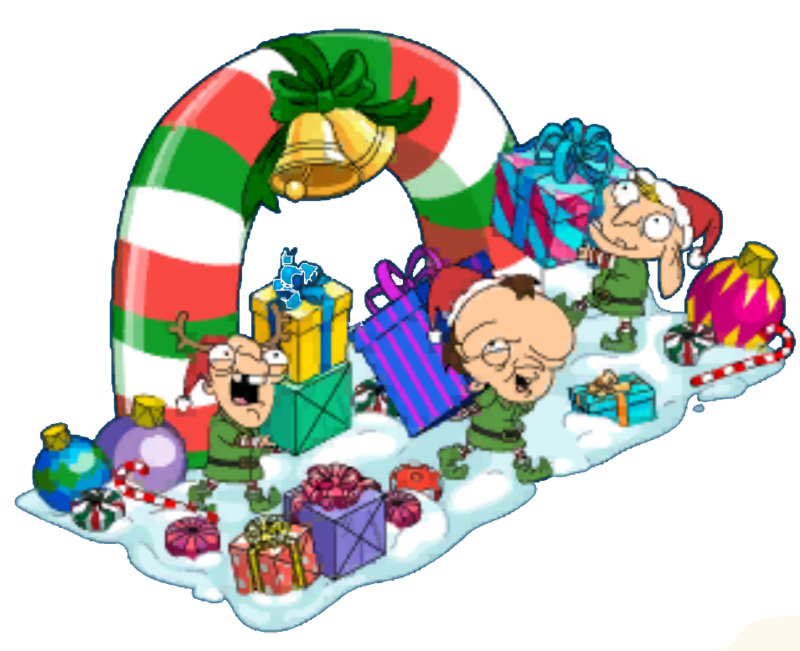 And for this week’s prize you’ll receive Mutant Elves. 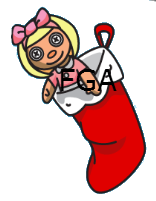 UPDATE BUNNY: As you can see in the image above, the prize for the Challenge was not the correct image. It glitched and showed the Elves Display instead. 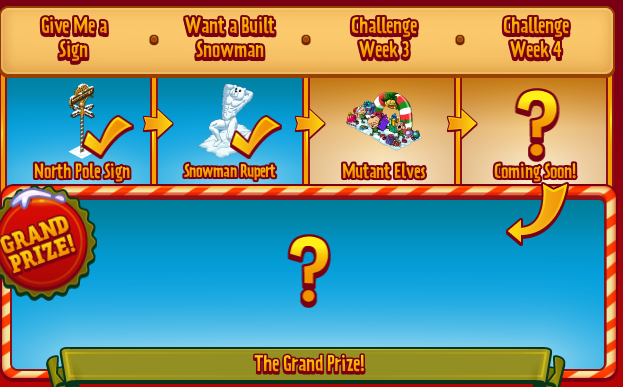 The actual Challenge prize is what it showed in the Pop Up for the Challenge…the Mutant/Demented Elf. Just the one. And it runs around on the streets of your town as soon as you tap on it to get it out of storage. 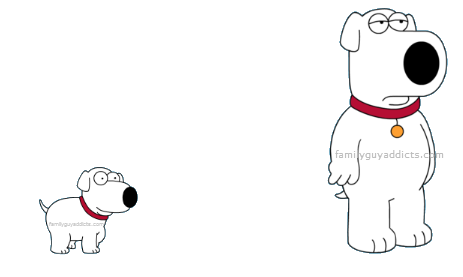 It is small, like size of Stewie. There’s a new premium Mystery Box available for 50 Clams. UPDATE BUNNY: DO NOT SPEND CLAMS ON THIS RIGHT AWAY!!! 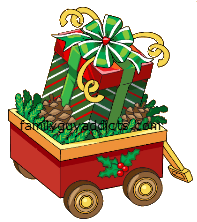 You will notice several of these items are available for purchase for just Christmas Cookies. BUY THEM WITH COOKIES FIRST. This will narrow down the items in the box to just a few, making you spend LESS Clams and get the extras for cheaper if you still want to risk the Clams on them. (See below). 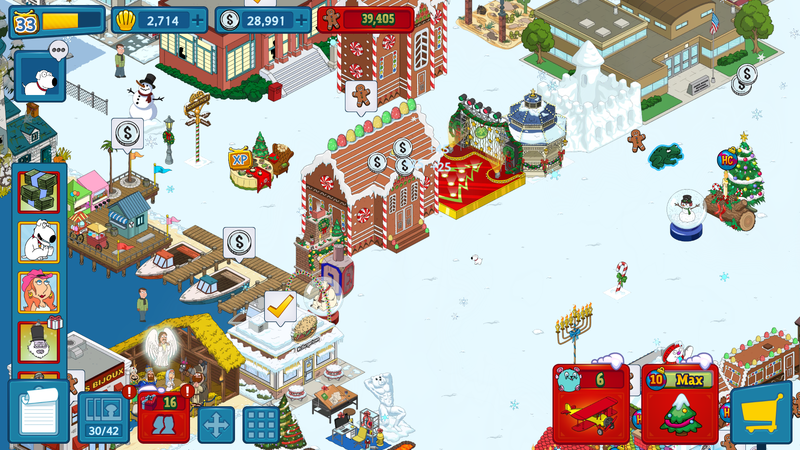 Once you have all the Decorations/Buildings the Gold Box will close out. 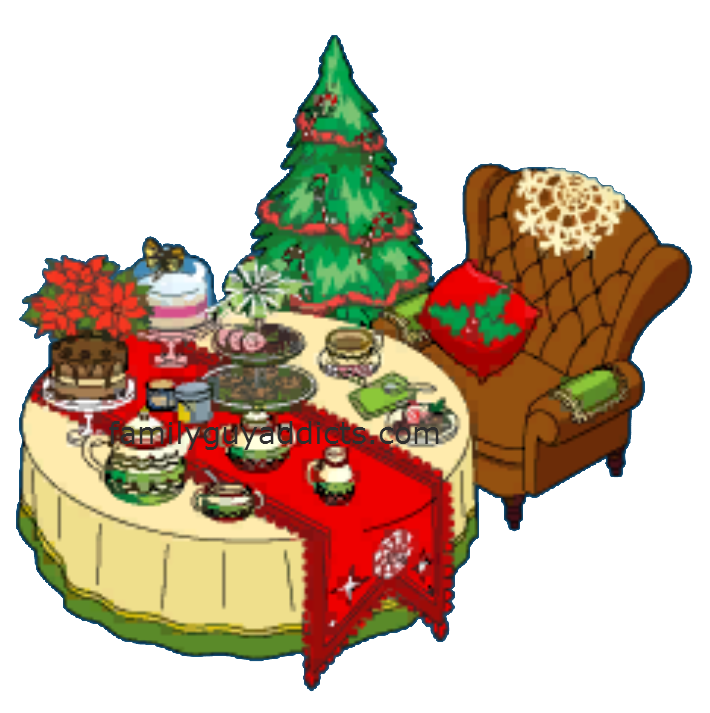 Note: A lot of these items you can purchase with Cookies. 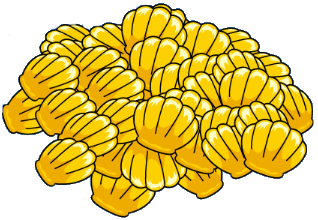 IF you purchase them with Cookies before the Gold Box…they will be removed from the Gold Box. 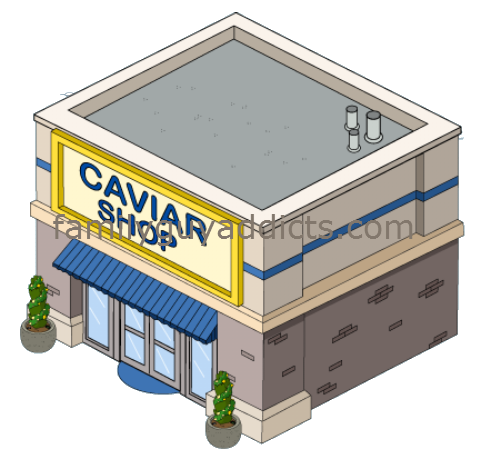 Thus increasing your chances to get clams! 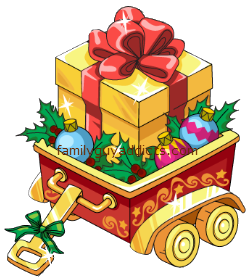 The new Gold Gift Box includes two decorations that are animated, Meg’s Pink Luxury Car and Peter’s Tank. There is currently a known bug if you try to store these items, it will cause your game to crash. This currently only affects iOS players and we’re working on a fix! Top Hat Yeti has arrived! 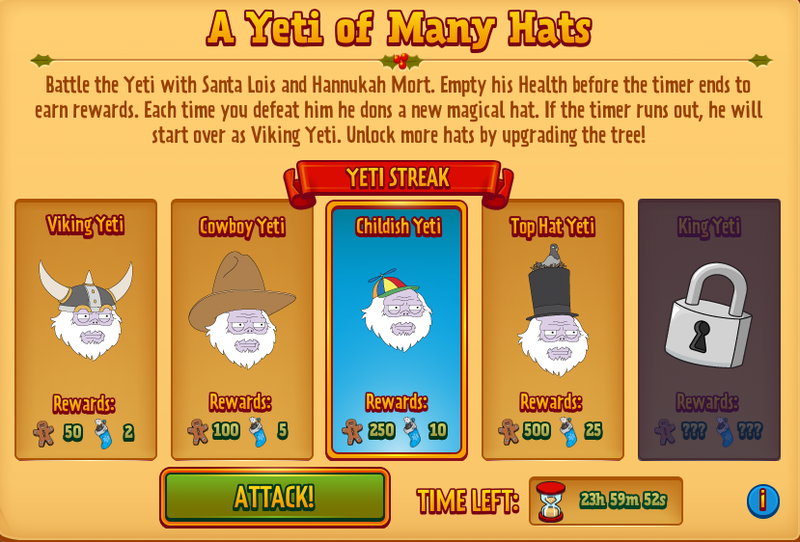 Currently I’ve got to wait 4hrs before I can attack Top Hat Yeti. Once it unlocks I’ll let you know what the Life Level is. 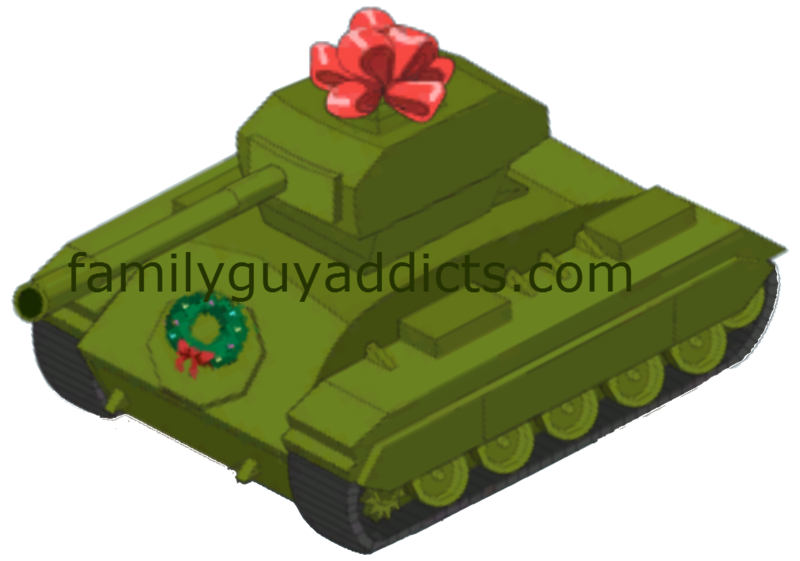 So that my friends are all the details on phase 3 of Christmas! What do YOU think of Phase 3? Thoughts on the Procrastinators? How about the new character additions? Jingle Joe? Sound off in the comments below, you know we LOVE hearing from you! 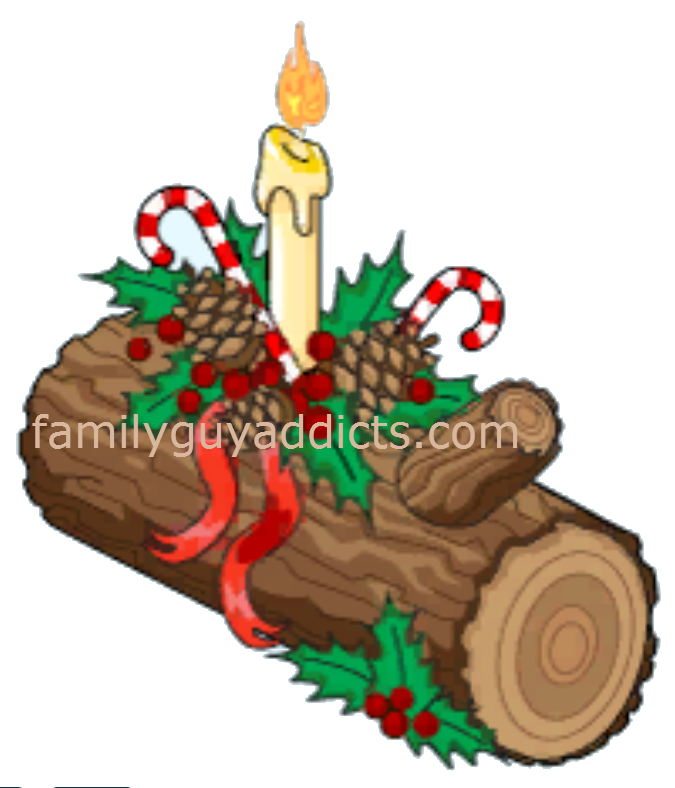 This entry was posted in Updates and tagged Babs Pewterschmidt, Family Guy Addicts The Quest For Stuff, Family Guy Tips & Tricks, Furbal, Jolly Christmas Tree, Last Minute Shopper, Miracle on Spooner Street, Puppy Brian. Bookmark the permalink. Hi guys. 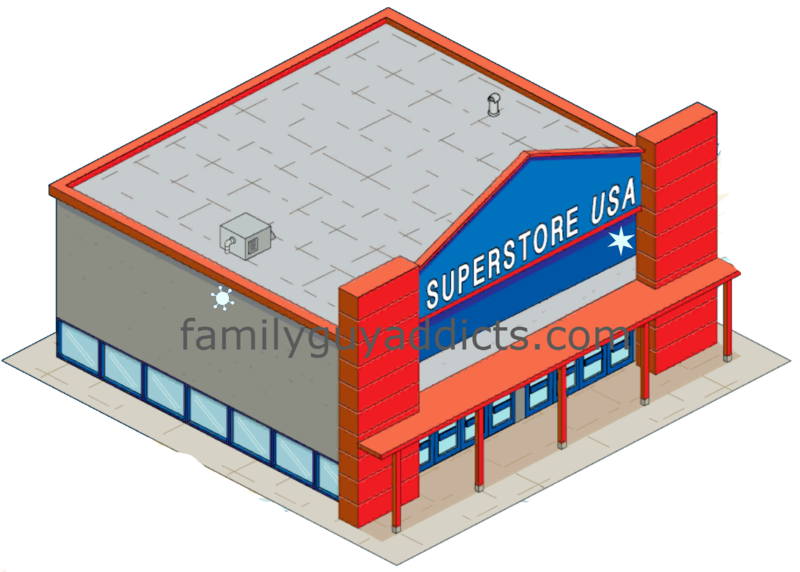 I’ve been playing a while and can’t seem to find superstore USA anywhere to do Joe’s quest,is this a known glitch? Did you buy it while it was available at Christmas? If it is not there, it may be gone. Merry, to u ladies u r wonderful if it wasn’t for your hard work I would have not gotten this far love what u do for us. 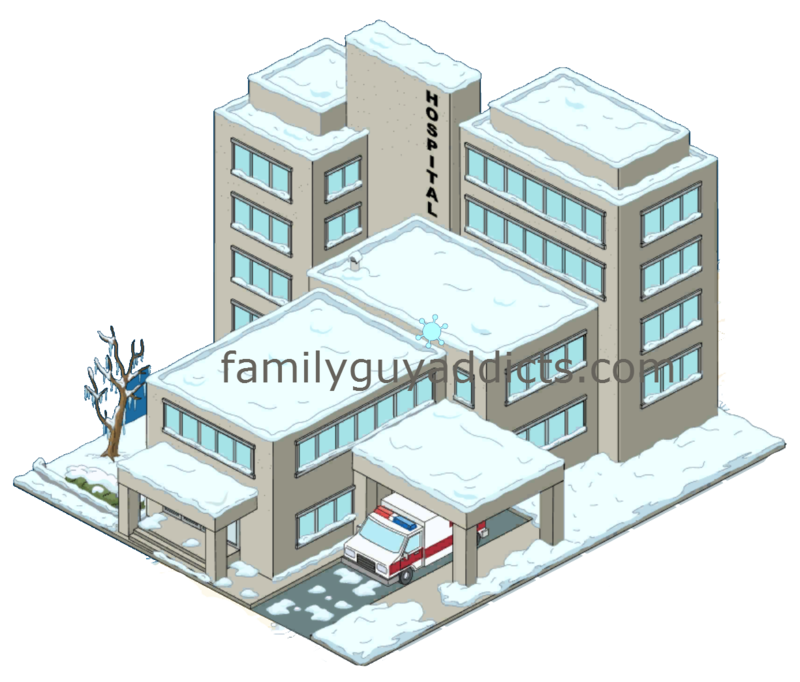 I know this don’t have anything to with this but trying to find u ladies on the Simpsons tapped but can’t can u give me the site please thanks. And Happy New Years. Just like my car. As soon as I mention something’s weird it straightens right up. 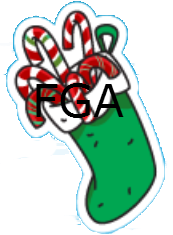 Last two times it’s given me the Wrapping Paper Stockings…. 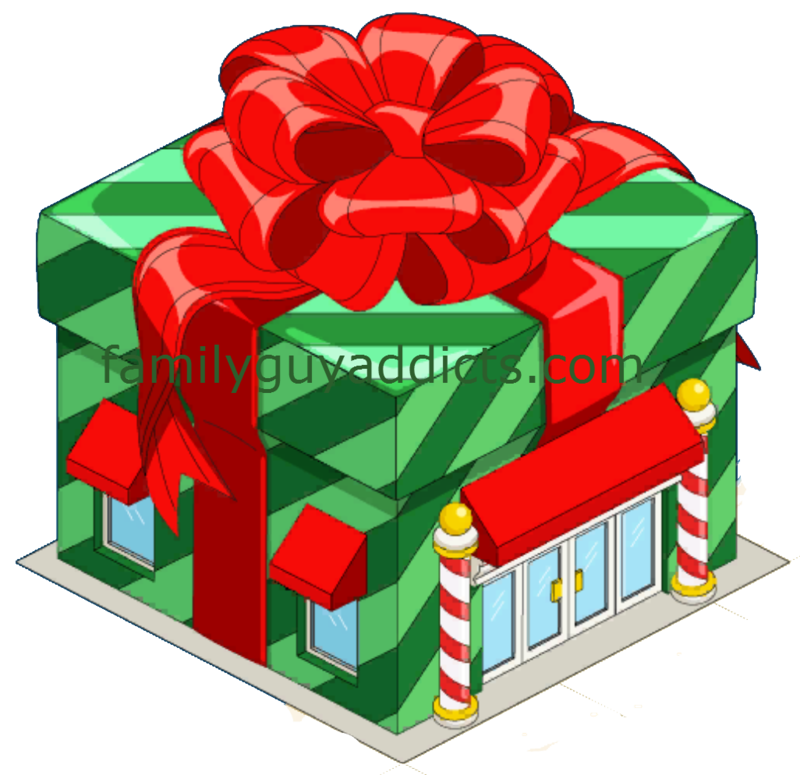 Question… Do you guys know what’s up with the Holiday Babble Gift Shop? I bought it because it said that it always dropped Wrapping Paper Stockings, but I’m not noticing Stockings when I collect from it & when I tap on the building the word “chance” is next to the stocking not “always”. I have just taken a screen shot of my stocking count so when the building comes due again I can make sure that I’m not hallucinating… Has anyone else mentioned this? It should always drop. You might not see it though. Go to your Workshop and check to see that they’re accumulating. If they’re not then it’s time to contact TinyCo.. I thought the Kiddy Train was an option to purchase under the featured items. I didn’t get it the first time I went through to see what was new for this week’s update and now it’s not available for me to buy. What’s up? Hmm.. I originally thought that you couldn’t tap on the Christmas shoppers to temporarily freeze them, but I just tried it and it worked. Whoo hoo! The KISS website just tweeted that KISS is joining the game!!! Can’t wait for the new update!!! 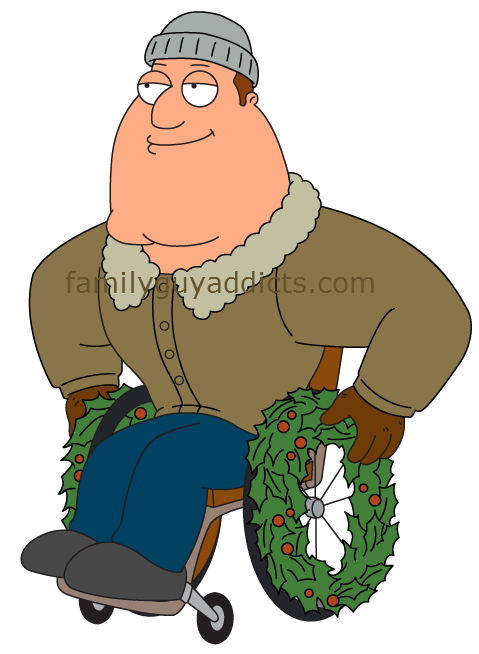 Has the angel Bruce skin been released yet? It appears to still be locked in my game and I just wanted to make sure I’m not missing something to unlock it, like a challenge or a building or something. Thanks! So, when I see an actual angel Bruce in another “friend’s” FB multiverse that means? Not sure what that means exactly. Now he should be there. Those neighbors could be playing a hacked game..or it could be a texture glitch. ALthough he is in the games now.. Same suggestions as any other Yeti. Get a head start, use as many characters as you can, and hit him as many times as you can. I thought I’d NEVER get the Puppy Brian either because of those stupid procrastinators, but the tip on stunning them has helped IMMENSELY and I just finished opening the puppy’s skin. Just yesterday I thought I’d never get him because of the wrapping paper drop rate. Yay, for me! The Yeti, on the other hand, still eludes me. I did not open Babs yet. 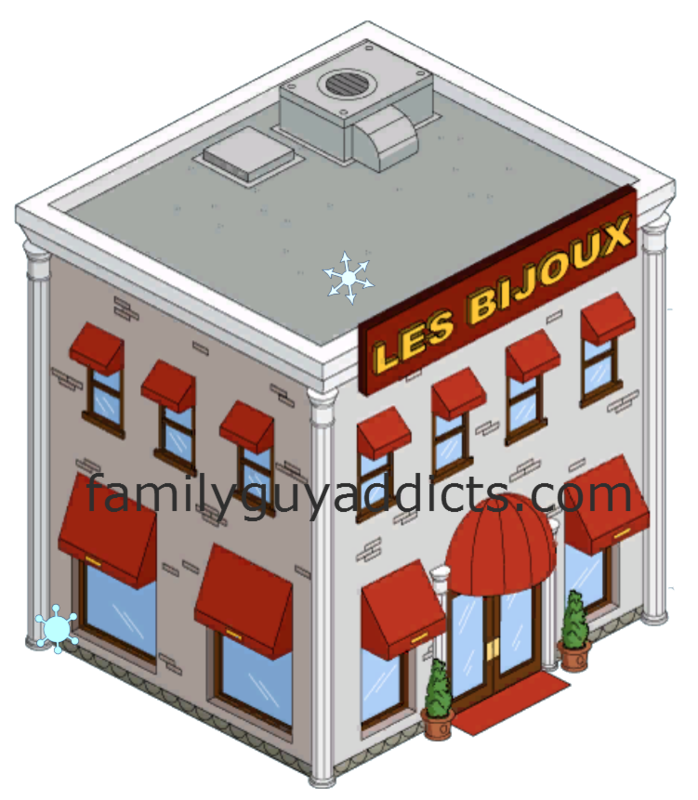 However the fancy box and snow flake box disappeared from my selections and I still need to receive the Cavier Shop. Not sure what to do. Should I unlock her? Send a report from your game menu to them. Let them know. 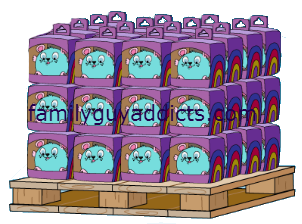 Is anyone else having issues with the Fancy Gify Box? I start crafting one, but the next time I log on there’s no sign of it and the cookies, etc., have been deducted; this happened three times, and now the option to craft them isn’t there. I’ve messaged TinyCo, but I was just wondering if anyone else has had this? What the deuce!? 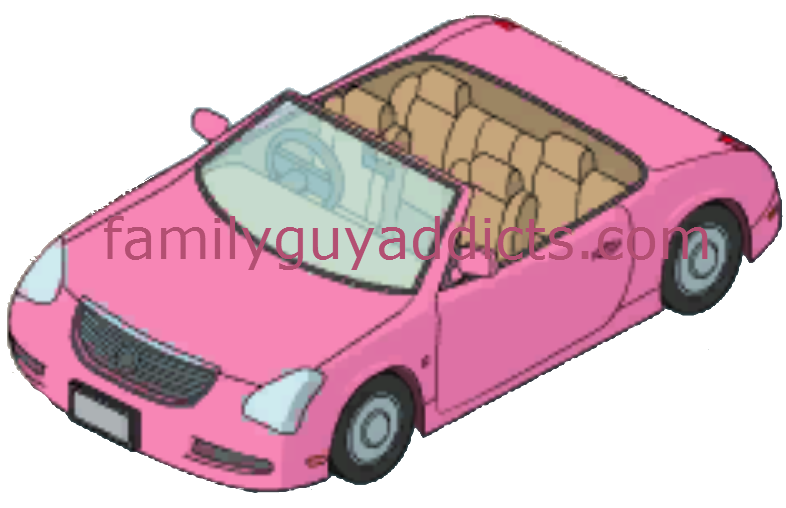 Meg’s Pink Luxury Car is not only animated, but it drives on Quahog’s streets! I bought the gold box more by accident, but that’s indeed a pretty cool feature. Is there a trick to the bombings? I am making 4 furrballs every 4 hours and shooting them off on the green sweater guys and rarely ever get wrapping paper. 12-16 furr balls shot off today and only 2 wrapping papers 😦 Not looking good for me to get puppy brian. I will have Jesus in a few hours, already got Jingle Joe and Barb. Just keep targeting as large of groups as you can get. The Nativity/Manger is in the Gold Box. Angel Bruce looks like he is coming as a Character in later Tree Upgrades. Did anyone else have this happen I won the challenge to win muntant elve and when I went to take him out of my inventory he disappeared? Now I don’t have him anymore I’ve looked every where? Help. My nice shoppers don’t drop wrapping paper. I get maybe 1 for every 20 nice shoppers I bomb. What do I do? Seems bout normal. One or two here and there. They drop numerous items. Stockings being one of them. Is it just me or is it extremely hard to beat the yeti?!?! The farthest I’ve beaten is childish yeti(I think!).. I only have Lois and Mort though. Does anyone have any tips? I will be trying the 4-hr rest thing.. I really don’t want to buy anything w/ clams and I really want to be able to earn Jesus! Is there any more information about the fancy gift box yet? I’ve already gotten everything you have listed, but the box is still there. I’ve crafted it two extra times and received cookies (which gave me a nice 2k cookies each time) but it is not disappearing. 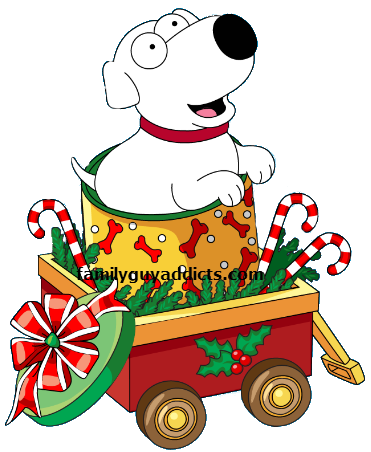 I’m afraid to waste anymore wrapping paper on it, because I’d like to get puppy brian if possible, but there is also still several items on the wishlist quest that I need to get and when I click on those items, it takes me straight to the “Fancy Gift Box”. THere is a task that requires you to unlock one in the questline. So it will hang around for that. Is it me, or does it seem like there are five naughty procrastinators for every nice one? I’m getting frustrated with the lack of wrapping paper being dropped. I noticed that you have the Nativity labeled as ‘Manger,’ that isn’t the manger. 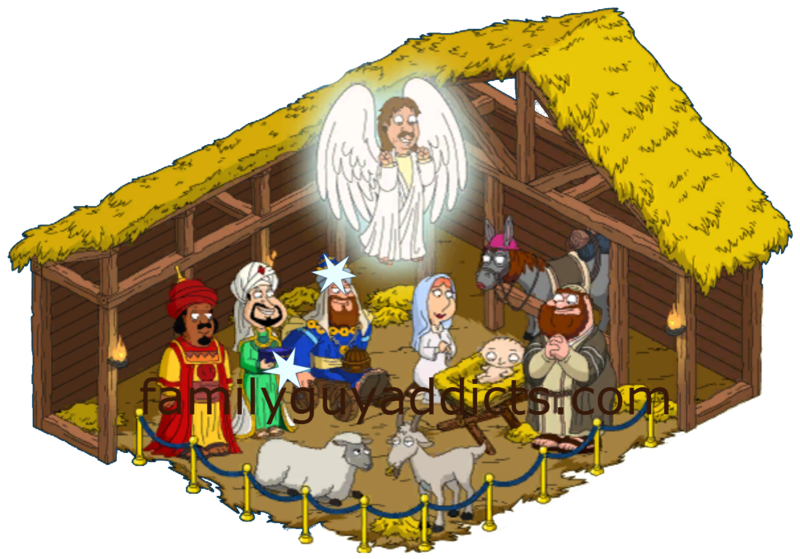 The thing that baby Stewie is laying in is a manger. 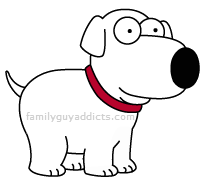 It is a prize in the crafted gift boxes that you have to acquire, by the look of it, for puppy Brian. That’s where I found him when I ginished crafting him. 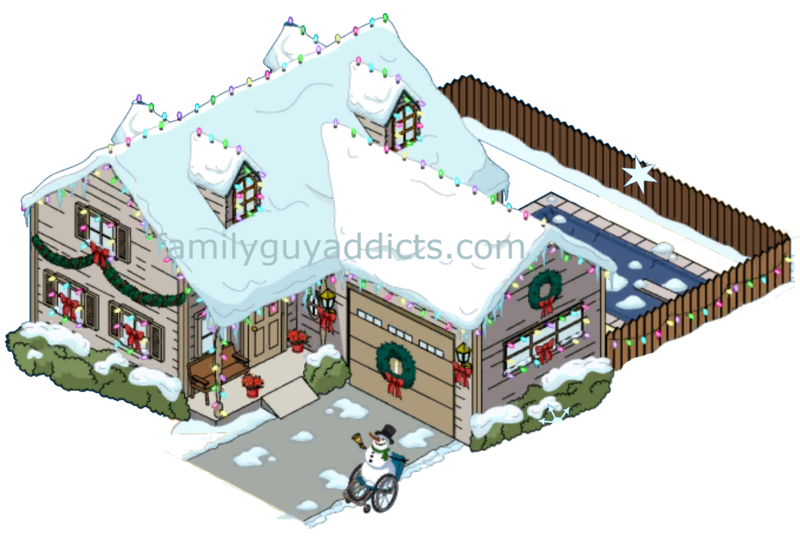 Where does Quagmires’ Christmas house skin come from? I have been looking for it for 2 days. Thank you Alissa for the link. I have beaten him twice already working on the third time.Maybe that will be the charm. I would like to ask it is true that after you got all the 5 prizes in the Fancy Gift Box, the Fancy Gift Box will get lock? Because I got all the 5 prizes but it didnt get lock and showed that I can wrap somemore. I fear if i go wrap, it will waste my wrapping paper stocking. It depends. You have to clear at least one box as part of the questline…so it stays with just materials like cookies so you can clear the quest.